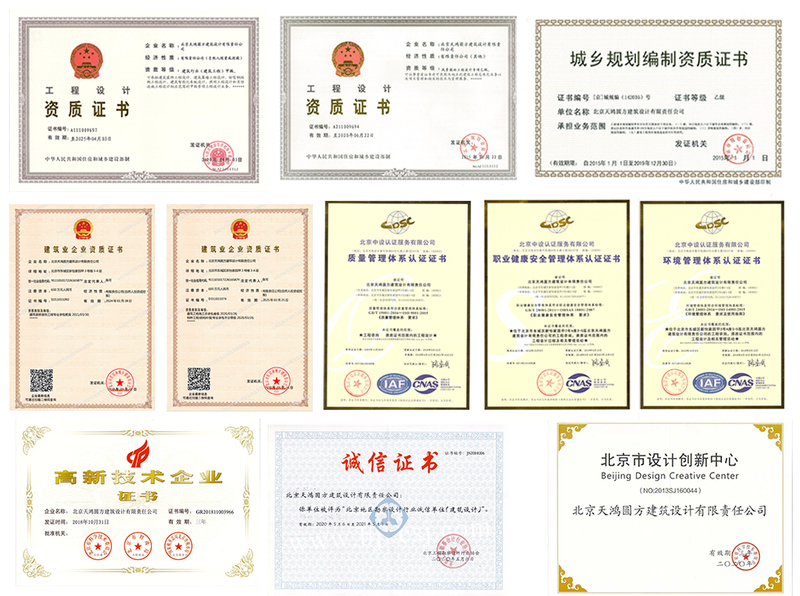 The Yuanfang company holds the qualification of Type Class A in the field of architectural design. And the qualification of Type Class B in the field of Landscape Architecture. And passed the ISO9001:2008 Quality Management System, ISO14001:2004 Environmental Management Systems, GB/T 28001-2001 Occupational Health and Safety Management Systems Certification. Company to undertake the planning of residential areas and residential architectural design, design of public buildings, ancient architectural design, indoor and outdoor decoration design, landscape design and many other tasks.